The 13" and 15" Totes (now the Classic Tote and the Legend Tote respectively) were named for the maximum size laptop their interior laptop pockets can accommodate, not the overall width of the bag. A quick way to identify which bag is which: the Mini/Midi Tote's handles are attached to the bag with a D-ring, the 13"/Classic Tote's handles are stitched directly onto the bag and can be folded against the sides of the bag, and the 15"/Legend Tote's handles are rigid and cannot be folded down. First, a quick timeline of the company: Dagne Dover's staple pieces initially consisted of the 15" tote and the original clutch wallet. The Mini Tote was later introduced as part of the Spring 2014 release with the Tiny Tote launching soon after on November 14th, 2014; the 13" Tote followed nearly a year later in September 2015. On March 2nd, 2017, Dagne Dover re-branded their coated canvas Totes and re-released improved versions of the Totes as part of their "Signature Collection." In the process, the Tiny Tote became the Petite Tote, the Mini Tote became the Midi Tote, the 13" Tote became the Classic Tote, and the 15" Tote became the Legend Tote. The Tiny Tote was launched on November 14th, 2014 and is Dagne Dover's smallest coated canvas Tote to date. 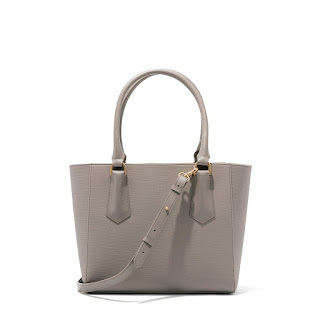 It resembles the 15"/Legend Tote in that its handles cannot be folded down, but it's a mere fraction of the size and comes with a cross body strap. 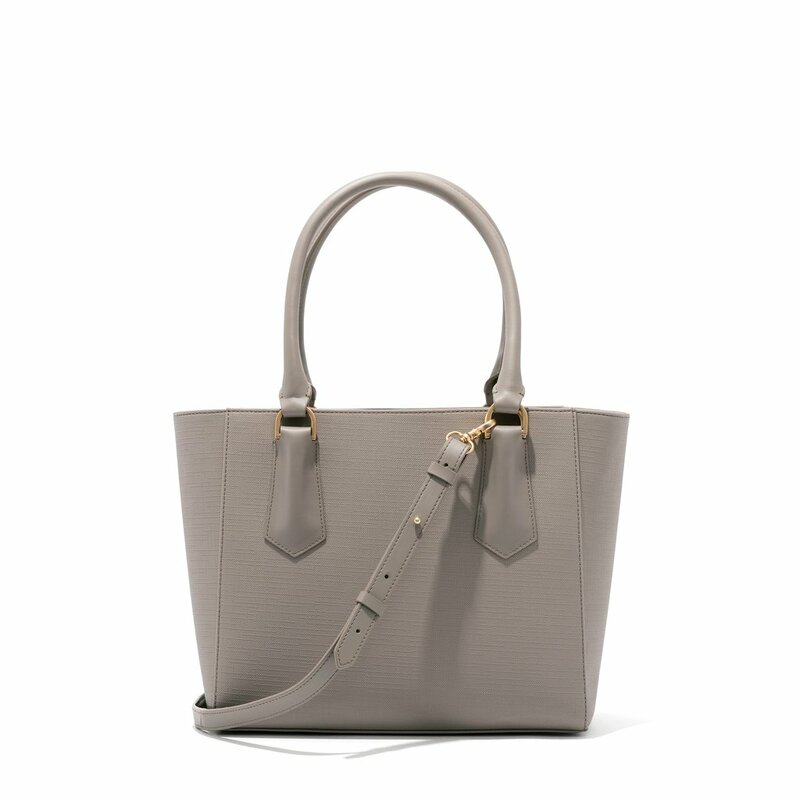 The re-designed version, the Petite Tote, has slightly larger dimensions than Totes of this size that were released prior to March 2nd, 2017. 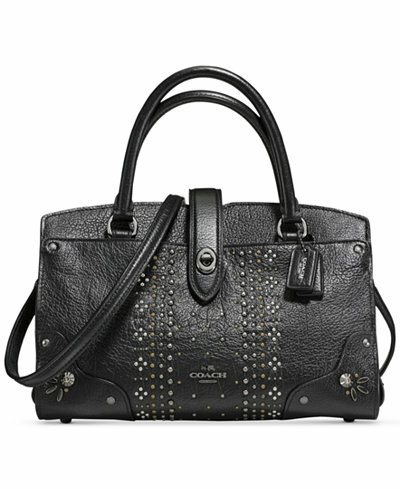 The Mini Tote was launched in Spring 2014. Two key characteristics of the Mini tote are that the straps are held on with D-rings (as opposed to being stitched directly into the bag) and that it is the only other Dagne Dover Tote aside from the Tiny Tote that comes with a crossbody strap. (The front zip pocket was a defining characteristic on Mini Totes released before March 2nd, 2017, but has since been removed.) The Mini Tote can hold a large iPad in its iPad sleeve and a 13" laptop within the body of the bag. 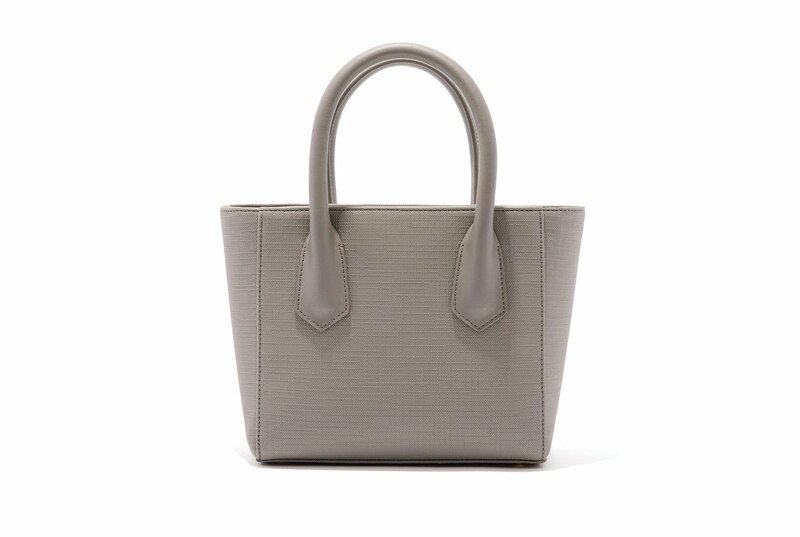 The re-designed version, the Midi Tote, has slightly different dimensions than the Totes of this size that were released prior to March 2nd, 2017. The straps of the Mini Totes from the original release have chains; later versions do not. The 13" Tote was launched in September 2015. It is named not for its overall width, but for the maximum laptop size the interior laptop sleeve can accommodate (13"). Visually, the key difference between the 13" Tote and the 15" tote is that the 13" Tote's handles can be easily folded down, whereas the 15" Tote's handles are rigid and stand straight up. 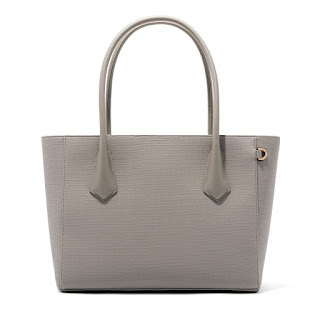 The re-designed version, the Classic Tote, has slightly different dimensions than the Totes of this size that were released prior to March 2nd, 2017. The 15" Tote was Dagne Dover's staple piece along with the original clutch wallet until the introduction of the Mini Tote in Spring 2014. It is named not for its overall width, but for the maximum laptop size the interior laptop sleeve can accommodate (15"). As mentioned previously, the key difference visually between the 13" Tote and the 15" tote is that the 13" Tote's handles can be easily folded down, whereas the 15" Tote's handles are rigid and stand straight up. The Tote was re-designed early on to be lighter and to fix various issues that arose with the handles. 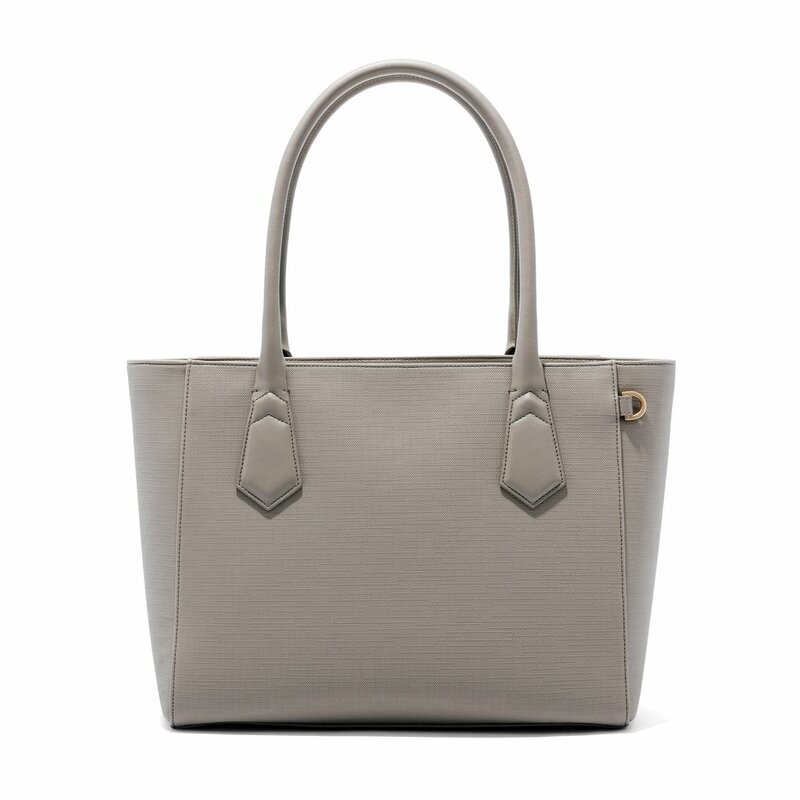 The latest re-designed version, now called the Legend Tote, has slightly different dimensions than the Totes of this size that were released prior to March 2nd, 2017. 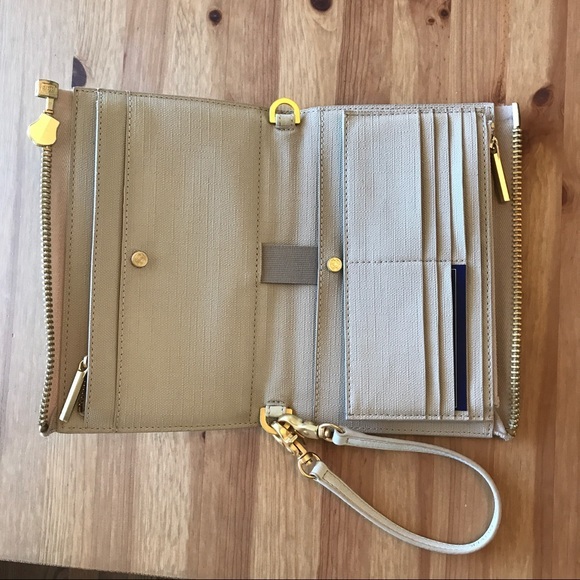 Bonus: the Original Clutch Wallet was discontinued in 2013 and is still widely sought after to this day. Notable design features include the zippered closure and interior magnetic card holder. A "re-designed" version (the Essentials Wallet) was released on March 2nd, 2017 along with the Slim Wallet. I hope this guide was helpful—please let me know if you have any corrections or suggestions! 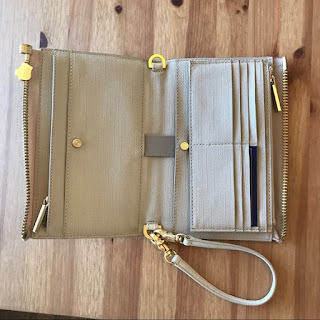 My name is Kat, and this is a blog about dressing simply and hoarding festoons of purses. 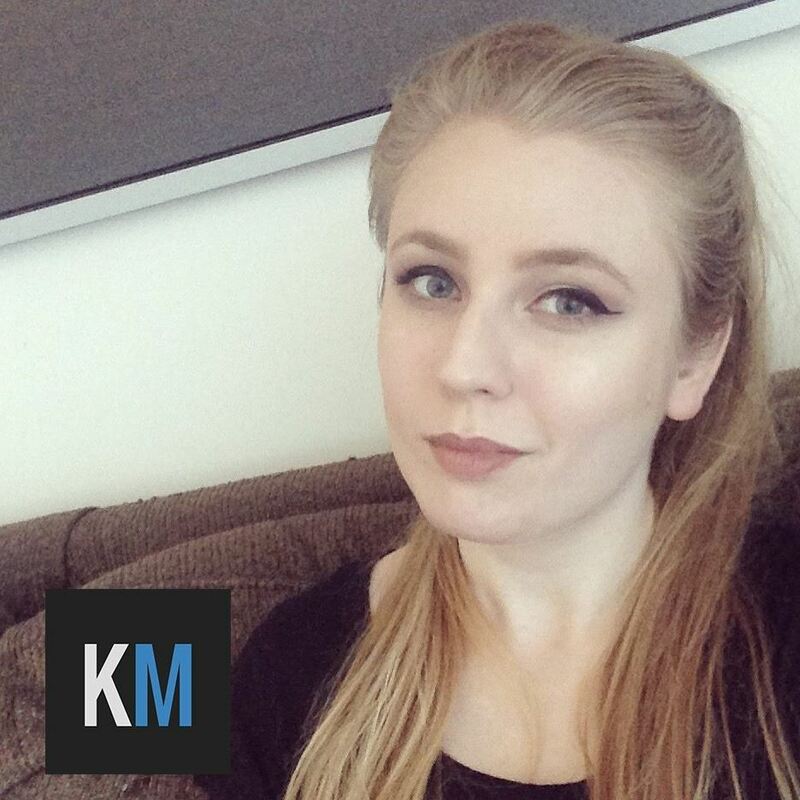 I write and design things!